I usually use Open Office to convert DOC files (or TXT or RTF) to PDF format so I haven’t tried converting them using Calibre. Open Office, now called Apache Open Office, is a free alternative to Microsoft Office which you can have a look at here. I find it really handy for editing documents before exporting to PDF. I also use Bean which is a very handy free text editor (only for OS X I’m afraid) to open and edit TXT and RTF. It has a really simple clean interface and it is great for opening non English files as it always asks which encoding you require. But I digress. 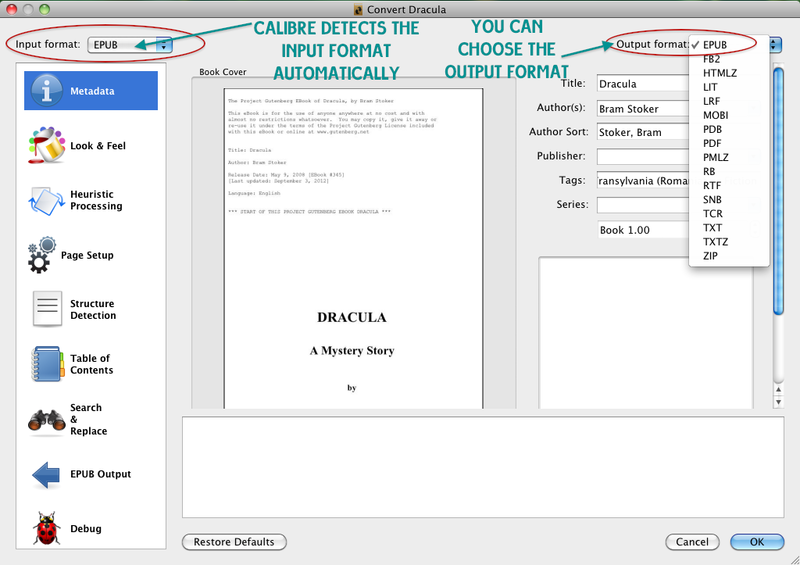 Anyway, to convert to ePub using Calibre is really simple. Just follow the steps below. 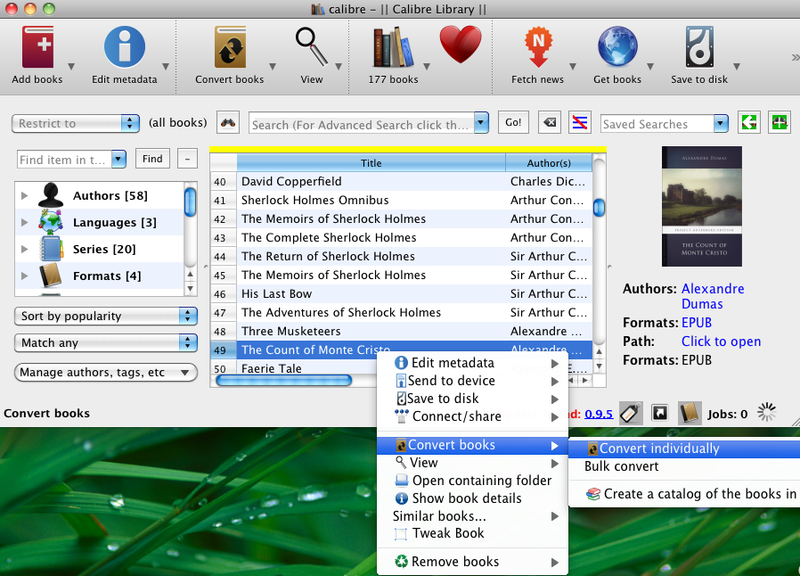 Locate the file you want to convert and add it to the Calibre Library by dragging and dropping it into the main window. Choose the format you want to convert to from the list. The default is usually ePub. You can also choose to change the front cover and other settings. I generally don’t mess around with it too much but sometimes it’s nice to have a good book cover. When you’re done, start the conversion by clicking OK.
You can check your progress by clicking on Jobs in the bottom toolbar. When the conversion is finished Calibre notifies you as to whether the conversion has been successful with a message. There will also be a green tick next to the job. 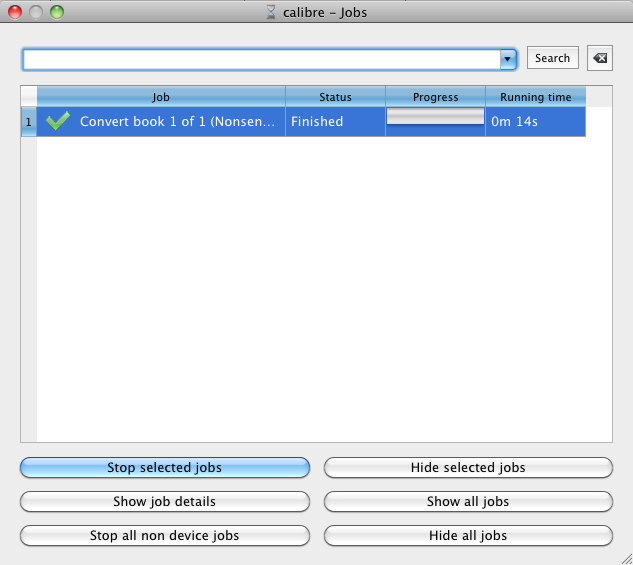 You can then relocate the file in the library and check the ePub works. 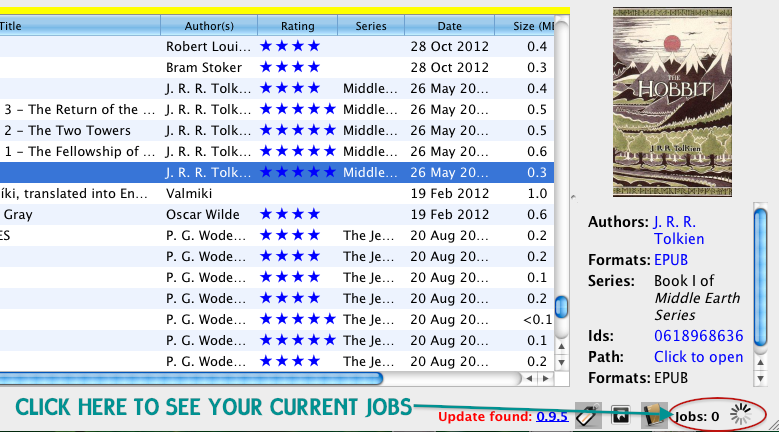 To check it using the inbuilt reader just double click on the file and it will open the ePub by default.